When Secrets of the Heart was published in 2011 friends, readers, and some writers continue to ask me all kinds of questions about the Regency time period. Because I live and breathe this period of history and still don’t know nearly as much as I’d like to, I wanted to share some facts about this intriguing time in history. I work as a counselor during the day and write in the evenings and on the weekends. I’ve learned what I know about the Regency because of the many romance novels on the market that I’ve read through the years and especially because of The Beau Monde, a specialty chapter through Romance Writer’s of America. If you write historical novels or if you are working on one you hope to publish then you understand how easy it is to immerse yourself in the era you research and write about. I’m always wondering what else happened during the Regency and the answer is too much for me to relate here. Plus there’s so much I’m still learning. The definition of REGENCY according to the Merriam-Webster online dictionary states: “of, relating to, or characteristic of the styles of George IV’s regency as Prince of Wales during the period 1811–20.” The reason that the Prince of Wales stepped into reign but was not yet king was due to the decline of King George III’s mental health, thus he was called the Regent and not the King. See the connection to my fascination of being a counselor writing in this era now? When I was in college I majored in Sociology and minored in Psychology. You can imagine my delight when I come across websites like Jane Austen World and the fabulous Nancy Mayer’s Regency Researcher site. Understand that I am not your typical Regency author. I love to explore the dark side of society and mental illness in this time. An awesome book called Regency Underworld provides a look into crime and the sinister side of London in contrast to the wealthy lords and ladies of society, the sparkling ballrooms, and the worlds of Emma, and Pride and Prejudice. Also, medicine had not yet made great strides in helping people with physical illness and especially not when it came to mental illness. 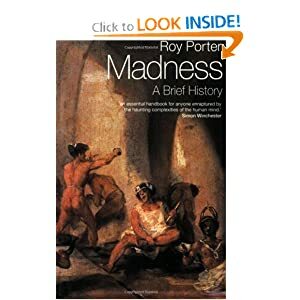 Author Roy Porter has researched and written much on these subjects. One of the things I hope to achieve by exploring these aspects of the Regency is to emphasize just how far we’ve come in these areas and yet how much work is yet to be done, especially in the field of mental illness. This was a time period when the vaccination for smallpox was just being discovered and there were no antibiotics. Can you imagine? Do you have a question about this time period? Do you have a specific time in history you enjoy reading or writing about? If you know something of interest regarding your favorite time in history and want to share that here, please do. If you'd like to win your choice of a copy of one of my three novels please leave a comment along with your e-mail address so I can reach you. I'll leave the contest open until midnight September 30th Pacific time and post the winner on October 1st. I hope this brief look into the Regency provides some background that will be helpful to you as you read, research, or write about this fascinating era in British history. 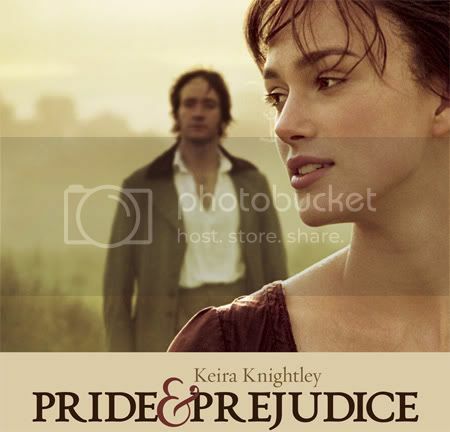 Jillian Kent explores the darker side of Regency England. 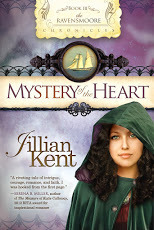 Her latest novel, Mystery of the Heart, released in January 2013. Her first novel, Secrets of the Heart will introduce you to asylum life, and Chameleon will take you into historic Bedlam itself. But never fear, romance is alive and well in all of Jillian's novels. She invites you to visit her new web page Jill's Quill. Chameleon, finaled in the Selah Awards at Blue Ridge Mountains Christian Writers Conference this year as well as the Daphne du Maurier Award through Romance Writers of Americas Mystery and Suspense Chapter. Jillian also writes and coordinates, The Well Writer, for the Christian Fiction Online Magazine. Ahhh! you know how I love your plots and settings and characters, Jillian! I can understand why Regency literature focuses on the interesting relationships between men and women of the higher class but I will always enjoy how Dickens and Gaskell gave us glimpses of real life later in the 19thC. I imagine there were authors writing like that in Austen's time but I haven't come across any. I'm looking forward to your next stories! Ah, thanks Debra. It would be fun to find those authors. I wonder if Charlotte Bronte and Jane would have seen eye-to-eye during the regency? I've heard that Bronte wasn't impressed with Pride and Prejudice. Maybe a hundred years from now readers and writers will be talking about the similarities and differences of Marvin and Kent. :) I think you'll like the next series if I can keep myself focused and get the books written! I am very much a person who likes stories that deal with real issues, especially mental health issues. I must echo Debra. Put me in for the drawing. Thanks. Thanks for the kind words. You might want to come back and leave your e-mail. Such an interesting post! Thank you for the opportunity to be a winner! Glad you liked the post, Melanie. Jillian, This article was so informative. I love the period of the 1800's especially around the time of Jane Austin. The differences in social standing never fail to amaze me as I read about it. Why do you think that difference came about that there was such a huge social acceptance between the rich & the poor to the extent that it did? It's hard to believe that birth alone could be that much of a distinguishing factor but appears that was so. Also the way the fate of the mentally challenged was handled was barbaric. I am looking forward to reading all your books as have not had that pleasure yet. Would like to start with Secrets of the Heart. Thank you. Those who were considered mentally ill may have been thought to be demon possessed. There was no understanding of brain chemistry in that day. And part of what I hope to gain through my writing of the Ravensmoore Chronicles (other than a great read) is a better understanding of stigma and why there should be no such thing. But that will take years to wipe out. When you get the chance I hope you enjoy my series. Blessings, Jillian. This is one of my favorite blogs. I've nearly finished writing a Regency and knew about some of the references but not Regency Underworld. I'm going to download that today. Thanks for an interesting post, Jillian. Oh, Elaine, you will love the Regency Underworld and then you'll get hooked and have to explore another novel. I'm so glad you wrote during this era. I know, I'm partial to the history of the regency. Some day I'll have to venture earlier into the Georgian period or later into the Victorian period. Congratulations on your writing and I hope you will be finishing more novels as the years pass. So glad you enjoy the blog. It's a fun place! A well stitched world building view into a character's heart, and a perception of interest into the character themselves, is always a keen clue that a writer has researched the subject or topic included in the story-line with the utmost care and respect! I love a full-bodied story, combined with a forthright knowledge that is evoked out of research! Medicinally I think we've come long lengths from the inability to treat and cure most ailments that were fatal at on-set during centuries past, but I still believe we have a long road to take before we can effectively alter the lives of the afflicted in more radically positive ways! Q: What was the first moment you realised that the Regency had grabbed a hold of your heart and wouldn't let you go!? Was it through a particular group of readings OR through direct hard laboured research!? What endeared you to bring to life your own characters set to live in this era!? Jorie! I love it when you visit. Your thoughts here are enough to cause me to write another blog post. :) Thank you for your comments and insight about story.When did the regency first grab hold of my heart? Not sure. I'd read many types of regency novels but it wasn't until the early 90's when I started to study the craft of writing and researching the era so I could decide what I wanted to write that I began to think this is the time period I want to write in. I'm sure it had to do with a semester I spent in Oxford, England when I was in college that lay dormant for a long time. I also discovered I had a voice for regency speak as one of my early critique partners pointed out and so I slowly fell in love with the time period. Thank you for sharing this insight into the Regency time period and for the opportunity to win a copy of one of your books! How did you come to write about this particular time period? Enjoyed your post and replies to the comments, Jillian. I can relate to your full immersion in a time period that your historical setting for a story. With your background I see why you'd be interested in King George III and his son. Recently watched the documentary Monarchs. It was not only educational but an eye opener about the kings and the lord protector of England. I wondered about the explanation for the term Regency period. Just watched Persuasion last night after a long time. Love all the BBC productions of the Austen novels I'm sure I'd enjoy your stories. Thank you. Pat, thanks for the heads up about the documentary, Monarchs. I didn't even know it was on. When you say you wondered about the term Regency period I'm guessing you learned the answer from this post or from the documentary? Just in case, and others may be interested in this, I'll explain. When King George III became mentally unstable and could no longer effectively carry out his duties as King, it was decided that his son should rule in his place and this made him regent because his father still lived. 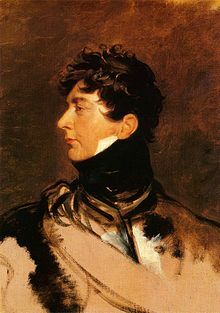 When King George III died, then his son, the prince regent, became George IV. This was a fascinating documentary consisting of 2 series, 11 episodes at $2.99/episode if you're interested. I discovered the meaning of the term Regency period from your post on Sunday. Thank you.. I love that you bring forth an element in your books that is still tucked into closets today - mental health issues. I have to admit, though being a huge P&P fan, I don't know much about that era. That might need to be remedied! :) My favorite is anything before the 1700s in Ireland and Scotland. Thanks so much, Susan. Have you ever read Diana Gabaldon's Outlander series? (Not inspy fiction but incredible writing) Jamie Fraser is a wonderful character/Scottsman. I was just looking it up online and I don't know how I missed that a movie is being made. I thought that would happen eventually but hadn't heard a word. No I have not read those! I will put them on my want list for sure. So it must not be the movie by the same name (Outlander) that is already out? Her books are really long so be prepared. I got through Drums of Autumn which was number 4 but haven't gone further than that because it's such a time investment. Many are out on audio now though. Have fun! Hi Jillian! I've really just started reading historical fiction this year on a consistent basis, and it seems to be phases of different eras. My faves seem to be medieval 1400-1500's; 1800's when America was just starting out; I love anything set in the early 1900's in the Gilded Age. But what I've truly loved the most and has really changed my outlook and the way I read & see the Bible is Biblical fiction. When I read anything written in the first decade or so of the world blows my mindin a good way and I just can't get enough of it! I've acquired Secrets & Chameleon and would be tickled pink to win a copy of Mystery so complete the series! Thanks for a great post! You're in the running. So glad to hear you have the first two novels. And Biblical fiction is great! What are you reading in Biblical fiction or recently finished? The contest runs through till midnight Pacific time tonight. Phew!! :) Right now I'm reading Harvest of Rubies by Tessa Afshar and will then read Harvest of Gold. They're about Sarah, Nehemiah's cousin, who became the chief scribe for the queen of Persia & wife of Artaxerxes, Damaspia. Just before Rubies I read Love's Sacred Song by Mesu Andrews, about King Solomon. All of them beautiful! Enjoyed your post, Jillian, I don't know much about the Regency time period - but would love to learn more. I do have something in common, with you, in that some of my favorite courses in high school & college were sociology, & psychology. Thanks for the opportunity to win one of our books. Another soc and psych lover. Since you read the post you now know a lot more than you did about the Regency. I hope to get you hooked on the era. :) Have a great day! I'll notify Melanie and let her know. I want to thank each and every one of you for participating in the reading of this post and for the great conversation. Appreciate you all!